Myndill and Farbjôrn and Arngeirr and <kigumantr> had this stone raised ... ... Jarp(? ), their father. 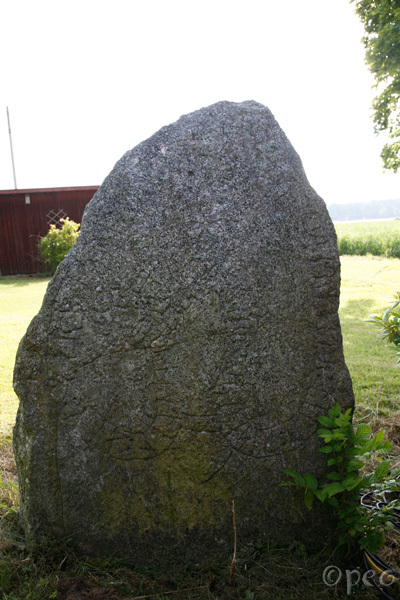 This rune stone is standing in a private garden. Point at the picture to see a close-up of a part of the stone.